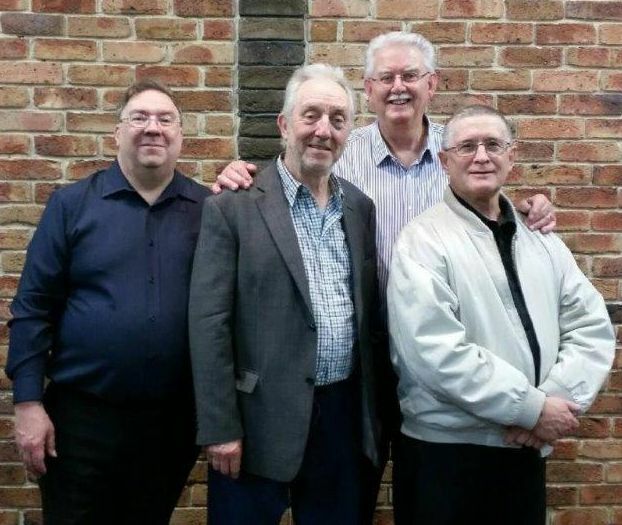 Several times a year the Church conducts Special Music Nights (usually Saturdays), featuring The Southern Cross Vocal Band with their brand of Southern Gospel Quartet harmony singing, as well as individual performances by each of the artists. 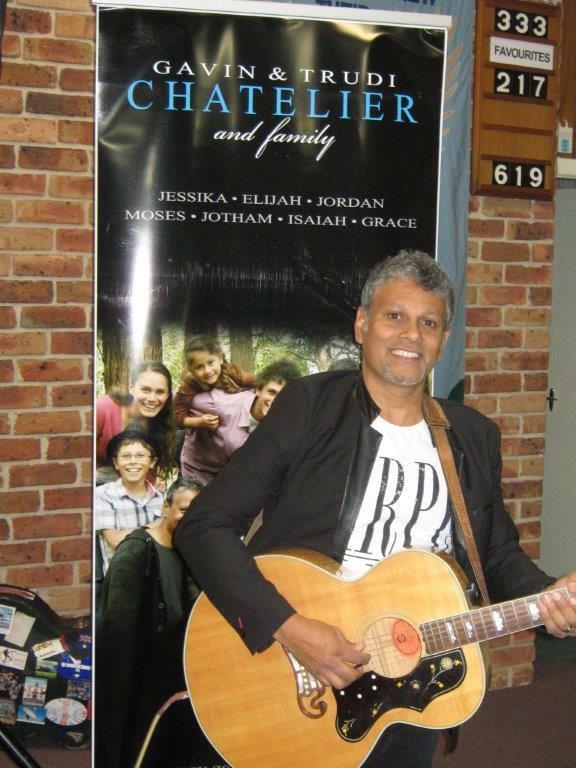 The well-travelled Gospel singer, Gavin Chatelier pops in on a yearly basis for a special concert. His silky voice does great honour to many of the classic Gospel songs. A couple of times a year we have an “old-fashioned” Gospel Sing, where both artists & congregation join in the singing of some of the old, but enduring hymns & Gospel songs. 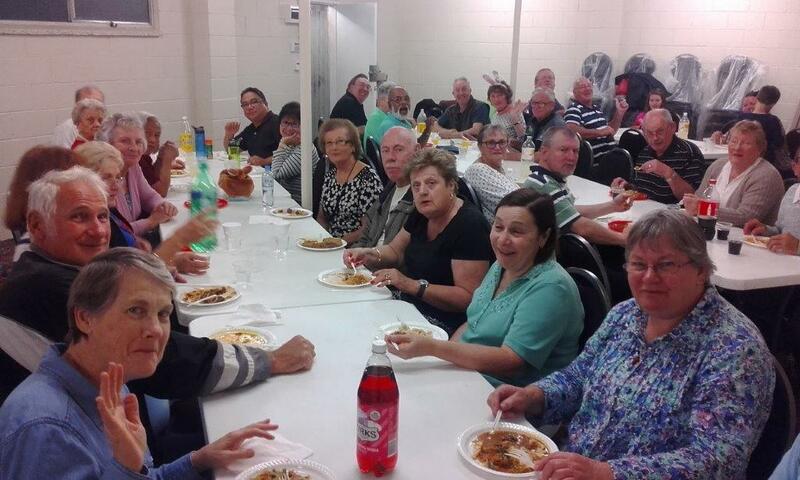 These nights are usually preceded by a pot-luck fellowship tea which provides for some great times of fellowship together before the concerts. On the first Sunday morning service of each month we normally have a guest singer/s to bring 4 – 5 songs in the Service prior to the preaching of God’s Word. The Southern Cross Vocal Band is a male quartet which brings the style of Southern Gospel (also known as Gaither music) to audiences in Australia. Their motto is ‘To present Christ crucified, risen and returning, through the ministry of music’. Each member of the group has trusted Jesus Christ as their own personal Saviour and as such not only is their music 100% gospel, but each song they perform has been carefully selected for the words and the message it delivers. Whether singing during a church service or in a full 2 hour concert, their music not only encourages and inspires Christians but also strongly challenges the non-Christian for the gospel of Christ. Not only do they sing as a quartet, but each member is also a soloist in his own right. As such, their programs offer variety by seamlessly combining the quartet with solos, the spoken word and sometimes even some bluegrass gospel featuring the 5 string banjo. They do not charge a fee to come and sing, neither will they interfere with any existing sound setup at a venue as they have all their own equipment which they bring and setup beforehand. 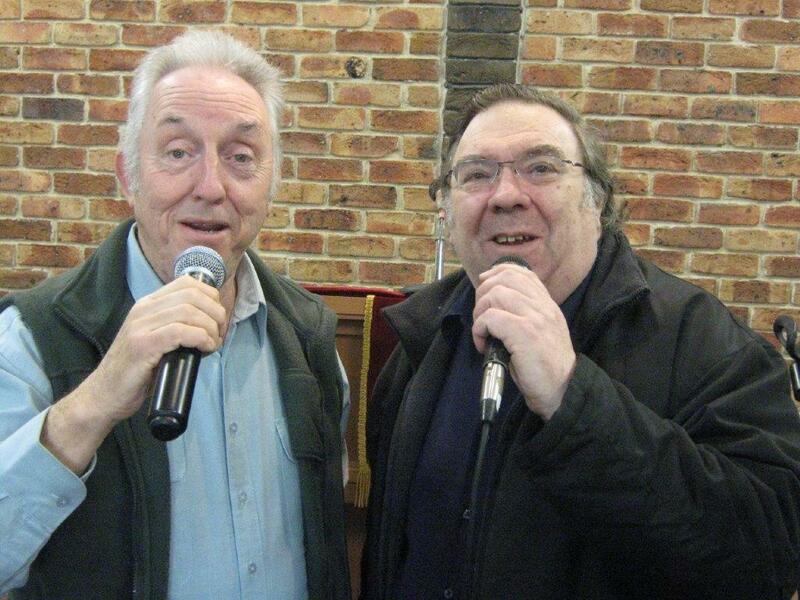 They have sung in church services, camps, Christmas celebrations and other special events over many years and are well received by audiences wherever they go. 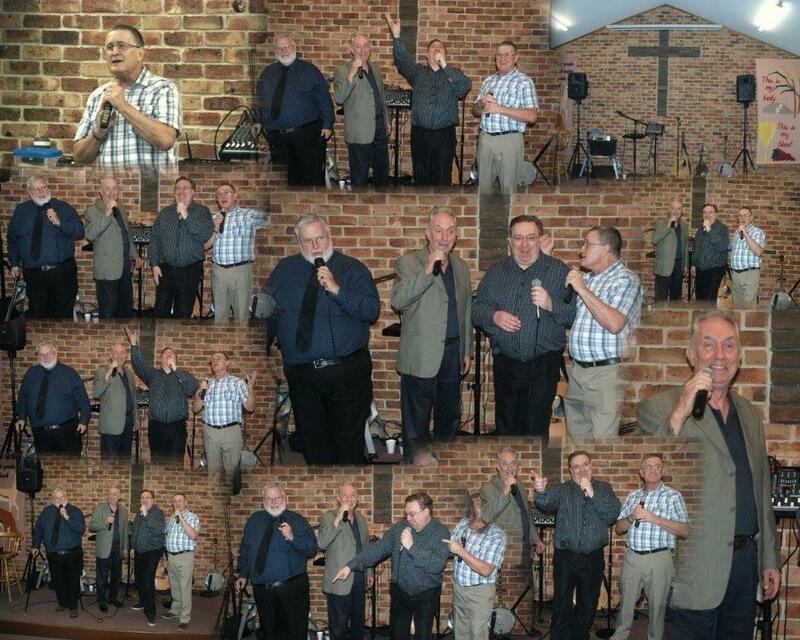 Photos below show the Southern Cross Vocal Band performing at Grace Bible Church. Having enjoyed a hearty meal, the audience pause for a group photo before the Concert starts. 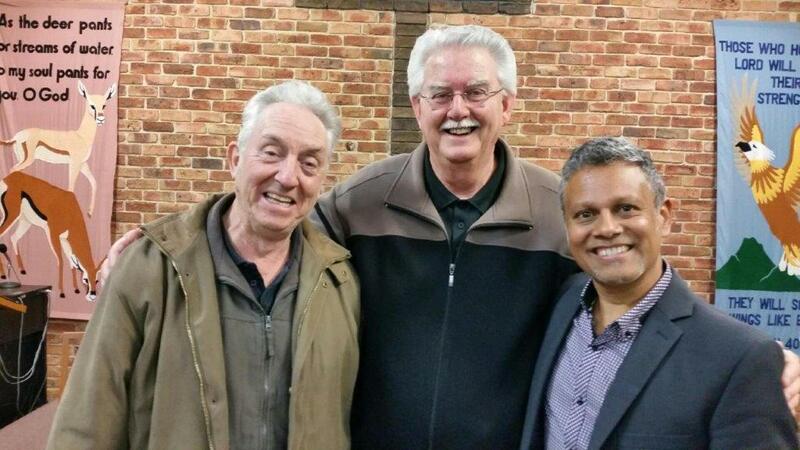 Good friends: David Lamb & Gavin Chatelier with Pastor Graham following the Gospel Songs of Elvis Presley Concert. All three gave testimony either through the ministry of song or the ministry of the word to the absolute faithfulness of God in their lives. 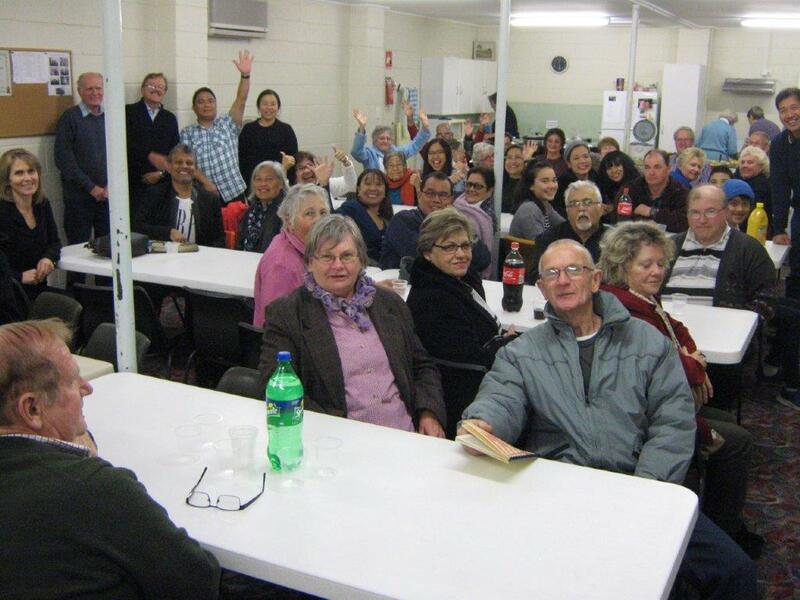 Members & their invited guests seen here enjoying a fellowship tea prior to the Hymn Sing/Concert on Easter Saturday. The night was not only a wonderful time of fellowship, but also a blessed time of praise & worship. 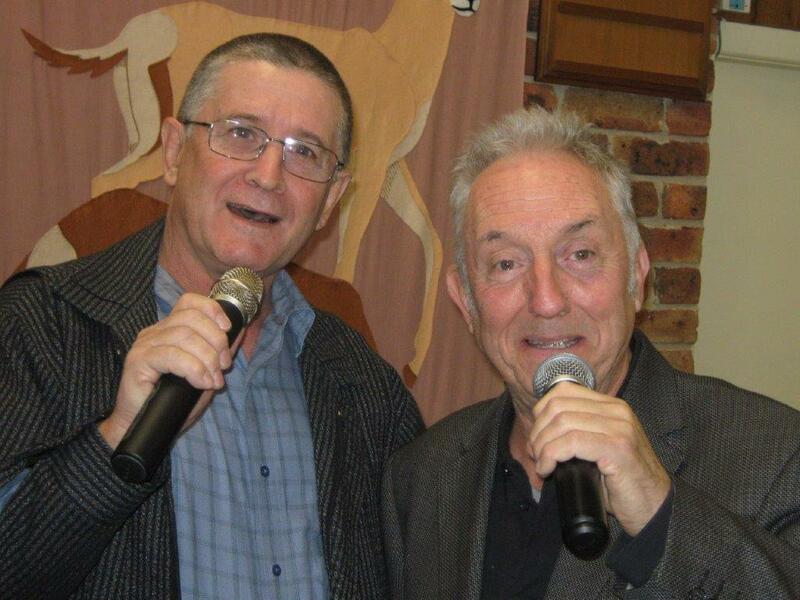 Seen here are Gordon Cooke & David Lamb singing their beautiful rendition of ‘Until Then’ at a recent performance in the Church. David Lamb & Bruce Groves performing the Bill & Gloria Gaither classic, ‘He Touched Me’. Southern Cross Vocal Band with Pastor Ross following their heartwarming rendition of the Southern Gospel Classic, ‘Loving God, Loving Each Other’. 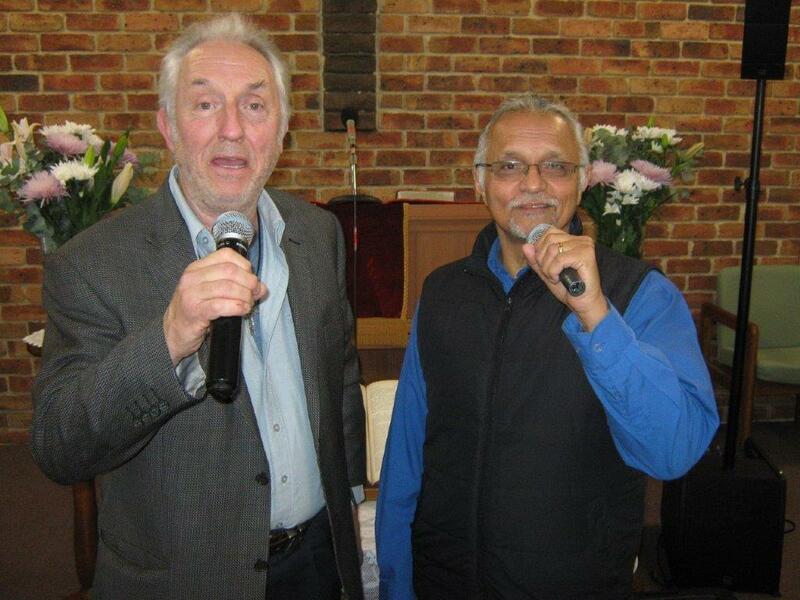 An “old friend” of the Assembly, Peter Lawrence, seen here with “resident vocalist” David Lamb singing “I’m a Brand New Man” in one of our recent Services.